These steak fajitas are packed with juicy & flavorful marinated steak, tender sliced bell peppers & onions, and all your favorite fajita toppings. 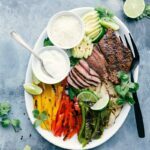 This recipe includes the ultimate steak fajita marinade, directions for grilling fajitas outside OR searing inside, and tons of serving suggestions! These steak fajitas are simple enough to make for a weeknight dinner OR a great option to serve for a crowd. The first time I remember having fajitas was when I was a teenager. I’d flown out to visit my Grandma and she prepared fajitas for dinner one of the nights I was there. She had all the fixings and then some. So I piled my tortilla full! Even though I was full after one, I couldn’t stop eating – I was immediately hooked! Since that meal I’ve always loved fajitas. I’ll order them whenever they’re on a restaurant menu and I love making them for my family. This means I’ve had plenty of practice perfecting my steak fajita recipe, and I’m so excited to share it will you today! Let’s begin! Traditionally, beef fajitas are made with skirt steak. The reason for this is the flavor – skirt steak has a strong flavor which really stands out. Alternatively, some people will use a flank steak which tends to be more tender, but not as flavorful. Read more about the differences between the two here. In terms of cost, a skirt steak and a flank steak are generally priced comparatively. While skirt steak is the traditional cut for fajitas, I’m partial to using a flat iron steak in my fajitas. It’s similarly priced to a skirt and flank steak, and has the best of both worlds – is more tender than a skirt steak, and has loads of flavor. Flat iron steaks are ideal for quick cooking methods and high heat (so they’re perfect for grilling!) 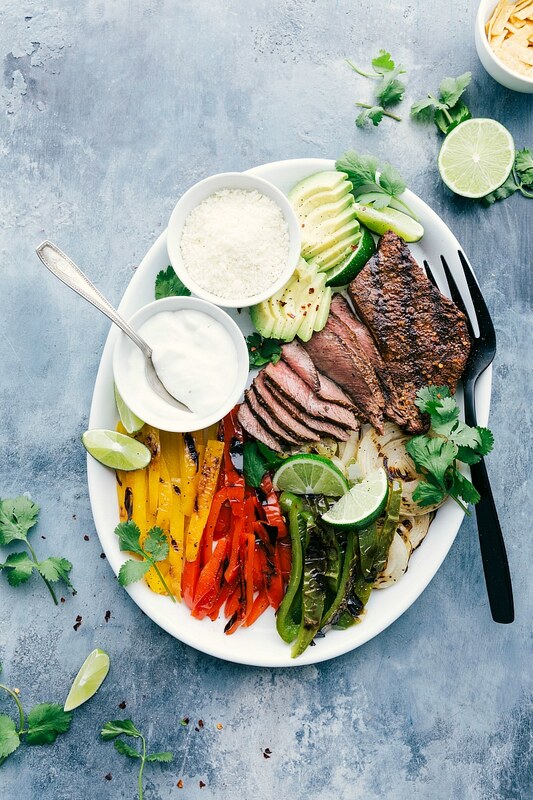 If it’s up to me, flat iron steak is the way to go for making steak fajitas at home; you’ll get tender, flavorful, and perfectly delicious steak every time. Now that we’ve picked out the perfect steak, let’s discuss how to use it prep, cook, and serve it properly so it tastes its best. Marinate: the marinade is extremely important to the flavor and tenderness of the steak. The great thing about this marinade is that it comes together quickly and uses common ingredients you’ll likely already have in your kitchen. Don’t overcook: Skirt, flank, and flat iron steak become tough, chewy and flavorless when cooked too long. Aim for cooking the meat to medium rare to ensure tender steak fajitas. I love using a meat thermometer to ensure the meat is perfectly cooked. (I share a steak temperature guide on this steak marinade post). Rest the meat: once you pull the meat off the grill, cover it with foil and let it rest for about 10 minutes. When you give the meat time to rest, it will lose less juice as it’s being cut into and you’ll get tastier and juicer meat. Slice against the grain: find the grain running through the meat and slice opposite that grain. I use a steak marinade in this recipe which is made with fresh fruit juices, oil, cilantro, Worcestershire sauce, garlic, and a variety of spices. Once the steak is finished marinating, we’ll rub the steak down with some additional spices just before grilling. A marinade AND a rub? Yes, call me crazy, but this combo really does provide the best flavor possible with little extra work! A common question is if taco seasoning can be used as a rub in steak fajitas. Fajita seasoning and taco seasoning are fairly similar, and in a pinch you can use certainly use taco seasoning for either chicken or steak fajitas. You can read more about the difference between fajita seasoning and taco seasoning mixes here. Classic steak fajitas are generally served with sauteed or grilled onions, peppers, protein (steak or chicken), rice, beans, and tortillas. To top it off, serve some sour cream, guacamole (or avocado), cheese, cilantro, and/or fresh limes alongside as well. 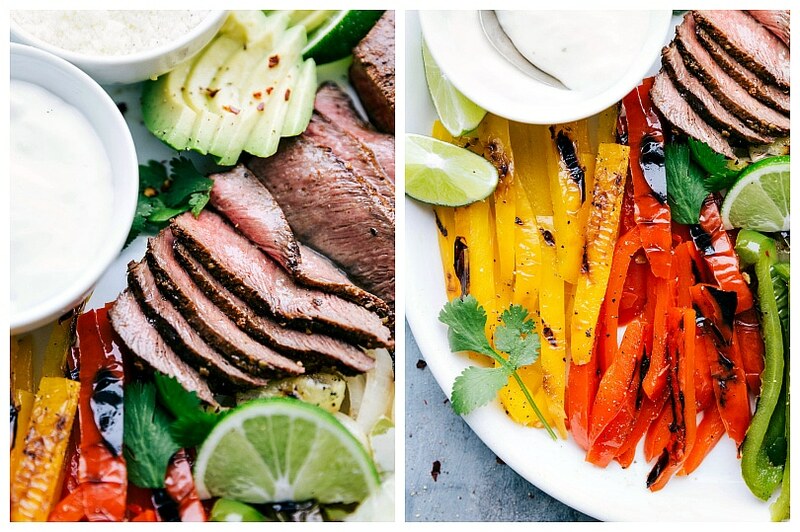 You generally don’t need to serve a side dish with steak fajitas that have all the toppings included above. However, if you do want to include a side dish, I like serving steak fajitas with cilantro lime rice (recipe below), grilled corn on the cob, and/or a simple salad (this cucumber salad or strawberry salad comes to mind). 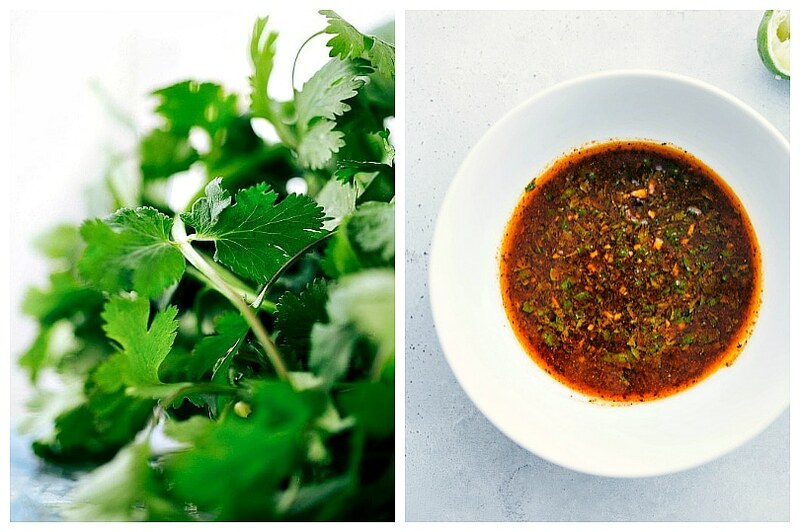 Prepare the marinade by combining the following in a small bowl: orange juice, lime juice, olive oil, Worcestershire sauce, cilantro, and minced garlic. Whisk together the spices in another small bowl: chili powder, sugar, paprika, cumin, onion powder, garlic powder, cayenne pepper, and salt & pepper. 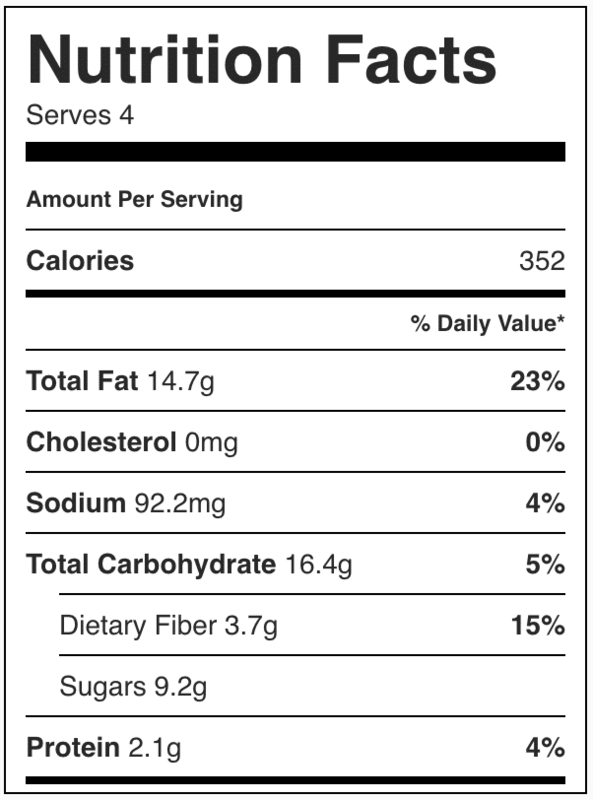 (I add about 1 teaspoon salt and 1/4 teaspoon pepper, but add to personal preference.) Whisk to combine the spices. Add 1 tablespoon of the spice mix to the marinade. Whisk together the marinade. Using a fork, poke holes about an inch apart all over the steak on one side only. 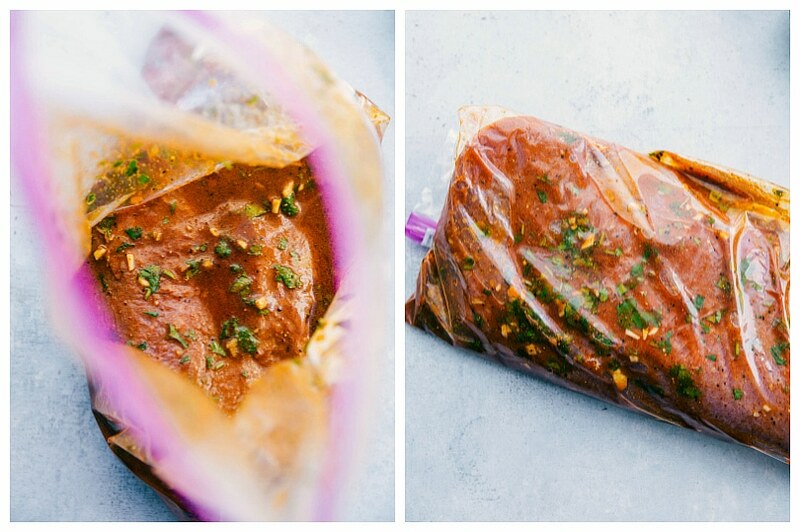 Place the steak in a large freezer bag and pour ALL BUT 1/4th cup marinade over the steak. Massage into the steak, seal up the bag, and place in the fridge. Refrigerate for at least an hour and up to 8 hours, turning the steak at least once. Remove steak from the fridge 30 minutes before cooking and let stand at room temperature. Drain marinade from meat and pat dry with paper towel (we don't want to stew the meat). Sprinkle the remaining spices (should be about 1 tablespoon) evenly on both sides of the steak. Pat this mixture over the steak (don't rub it in). Heat a cast iron skillet over medium-high heat with 1 tablespoon olive oil. Cook steak for about 4-5 minutes per side or until steak is medium rare (130-135 degrees F). Use a meat thermometer for best results. Once cooked, let the meat rest on a cutting board, tented with aluminum foil, for 5-10 minutes. Slice very thinly against the grain into strips. Heat grill or grill pan to high heat. Clean and lightly oil the grill grates (or ridges on a grill pan). I do this by pouring a little canola oil over a paper towel, holding it with tongs, and running it along the grates or ridges. Drain marinade from meat and pat dry with paper towel. Sprinkle the remaining spices (should be about 1 tablespoon) evenly on both sides of the steak. Pat this mixture over the steak (don't rub it in). Grill the steak, covered, for about 4-5 minutes per side or until steak is medium rare (130-135 degrees F). Let the meat rest on a cutting board, tented with aluminum foil, for 5-10 minutes. Slice very thinly against the grain into strips. 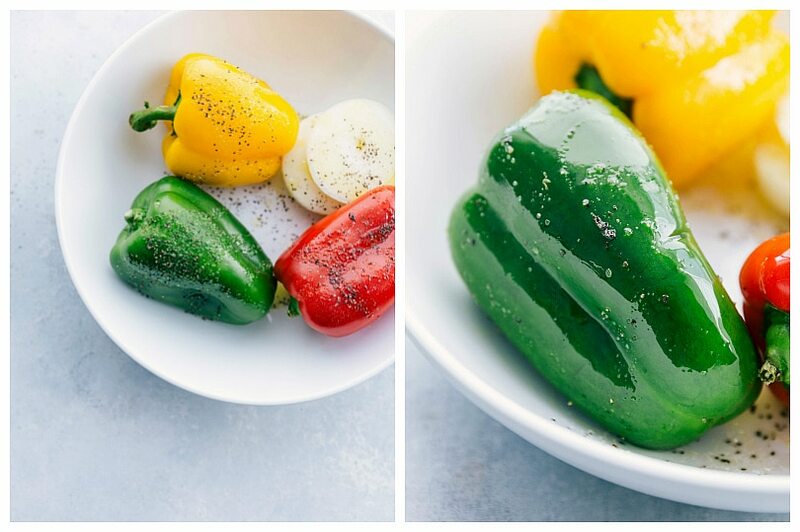 To cook in a skillet: slice peppers and onion into thin strips. Wipe down the pan you used to cook the steak in with a paper towel and tongs (doesn't need to be perfectly clean). Add a tablespoon of oil and place over medium-high heat. Add peppers and onions. Season to taste with salt and pepper. Cook, stirring occasionally, until crisp tender, about 8 minutes. To cook on a grill or grill pan: drizzle 2 tablespoons olive oil, salt, and pepper over the 3 full peppers (not sliced) and sliced onion. Heat a grill to high heat and place the peppers and onions directly over the heat. Turn the peppers every 2 to 3 minutes until they are completely charred, about 10 minutes total. Flip the onion slices after 2-3 minutes and remove around 6 minutes total or until charred to liking. Let cool completely and then thinly slice the peppers. 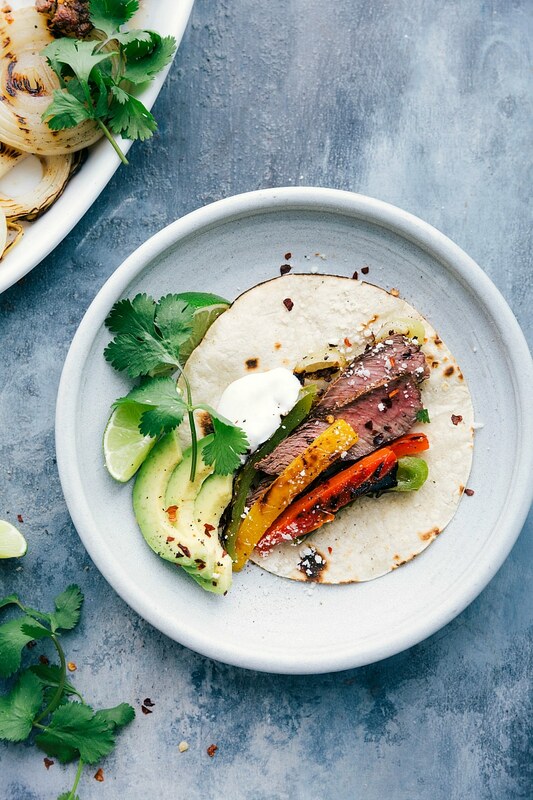 Fill tortillas with cooked and sliced steak, bell peppers, onions, and any desired toppings such as sour cream, guacamole or sliced avocado, tomatoes or pico, and fresh cilantro and/or lime. Drizzle reserved 1/4 cup marinade over everything. Fold up and enjoy! Note 1: if you aren't cooking your own tortillas (TortillaLand or homemade) warm them up on the grill: wrap tortillas tightly in foil and grill for 2-3 minutes over medium heat, rotating halfway through.